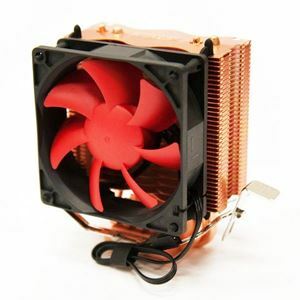 Quick overview With two 6mm copper intertwined heatpipes that contact CPU directly and anodized aluminum fins, the SilentX EFZ-80HA3 offers superior heat conduction and dissipation. The included 80mm fan with 3rd generation fluid dynamic bearings delivers 12-36 CFM air flow at a noise level of perfect for your moderate cooling needs. For higher cooling performance, you can add a second fan.